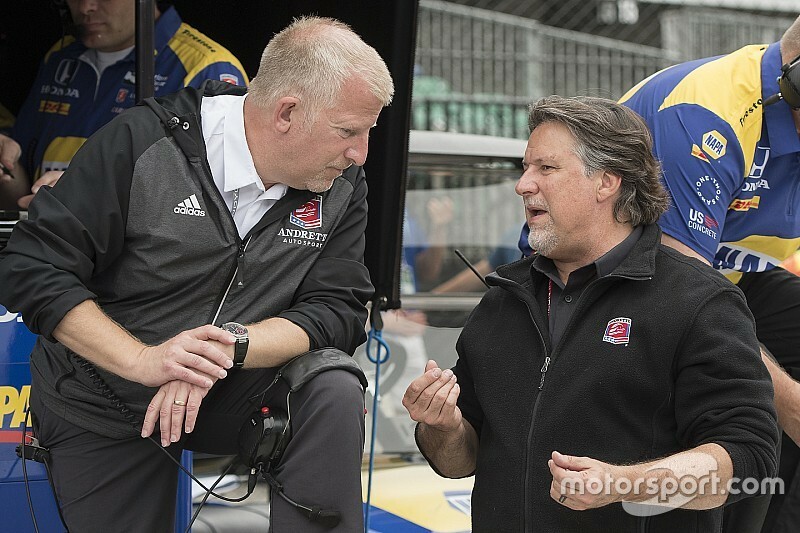 Rob Edwards, COO at Andretti Autosport, says he’s not considering the team as NTT IndyCar Series title favorites in 2019, despite the squad’s major resurgence last year. 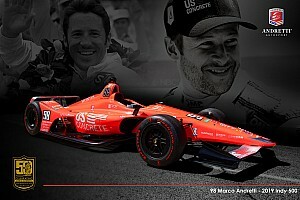 Between them, Alexander Rossi and Ryan Hunter-Reay took five wins, four pole positions (with teammate Marco Andretti adding a fifth) and on six occasions an Andretti Autosport car led the most laps of a race. Rossi and Hunter-Reay finished second and fourth in the points respectively. Michael Andretti’s team, in the first year of IndyCar’s spec aerokits, was regarded by its rivals as having found the best streetcourse setup, a Team Penske-rivaling roadcourse package and running the superior engine for most tracks. The Hondas, as used by Andretti (and Chip Ganassi Racing), had a notable edge over the Chevrolets in terms of torque exiting low-speed corners and fuel mileage on all types of track. With so few areas open to modification in the engine regulations for 2019, it’s assumed that the HPD-designed engines will retain much of their advantage this year. Yet Edwards says that believing your team is favorite for the title is foolhardy when up against Ganassi and Penske. “I think the surefire way to screw something up is to consider yourself the favorite!” Edwards told Motorsport.com. “We have a strong belief in our capabilities and we go to every race believing that we can win. But you have to keep reminding yourself of the depth of the field. 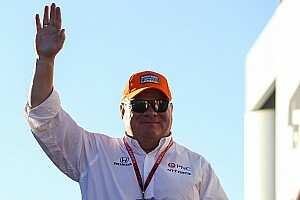 “We talk about it all the time, but it’s true how competitive the IndyCar Series is. If you’re really going to challenge for the championship, you can’t afford to have a bad weekend. You’ve got to turn up with your A-game every race. 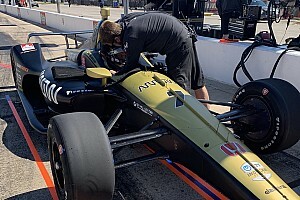 Edwards did allow that Andretti Autosport’s performance on street courses had been a source of pride within the team, particularly in the context of its struggles on temporary tracks as recently as 2016. 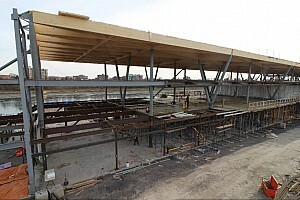 “I think there’s no doubt our damper program has made huge strides,” he said. “We can remember just two years earlier how the Andretti cars couldn’t get out of their own way on street courses – Long Beach and Detroit spring to mind as obvious examples. So yeah, we’re super-proud of the work from all our guys to get us to where we’re now at. “I do think we’re in a good direction, because we’re very careful we don’t lose our way – we’ve seen what happens when you do – so we’re careful we don’t turn left when we need to turn right. That catches up with you very quickly. 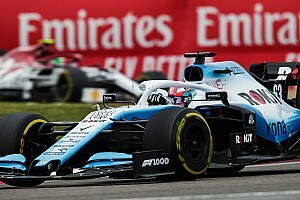 Edwards, who also works as strategist for Rossi, says it was reasonably easy to pinpoint where the former Formula 1 driver and 2016 Indy 500 winner missed out in comparison with principal title rival, Ganassi’s Scott Dixon. “In our analysis, there were basically three races that for us were the difference makers," he recalled. "One was Detroit 2 [where Rossi fought Hunter-Reay for the win, made an error and finished outside the top 12] which has been talked about ad nauseam, one was Road America where we had a mechanical, and one was Barber where we screwed up on the timing stand. "So that’s one on the driver, one on the crew and one on the timing stand. And it’s really about not making those mistakes going forward, but still continuing to perform as well as we did elsewhere in ’18. 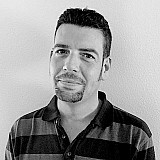 “No, there were no obvious weaknesses on any particular kinds of tracks. We were good on superspeedways like Indy and Pocono. Short ovals – we were strong at Phoenix, struggled a bit at Iowa and then were strong again at Gateway. Road courses we were competitive on and the same with street courses. “So yes, basically it was those two or three instances where different parts of the group made mistakes. “It was the same with Ryan. There were errors in different parts of the #28 group on occasion, reasons why he couldn’t maximize all his points opportunities, but there were no concerns about speed on any types of track.